'Everybody's Talking" was a great song indeed, and of course it was the song that played over and over again in the movie it was written for, Midnight Cowboy. But Nilsson (as he was known as back in those days - he didn't start using his first name for several years after that) had written a different song for the movie which was rejected by the producers called "I Guess the Lord Must Be in New York City". So while it wasn't used in the movie (it was a better song IMO for the movie, since it actually fit into the plot of what the movie was about), Nilsson released it on his own a year later and it became a big hit for him - because it was an excellent song even if it wasn't what the makers of the film wanted to hear. BTW, even though he wasn't call "Harry Nilsson" really until the early '70s, the first album where he used his first name was the LP titled "Harry" which the above rejected song shows up on. But that photo of him on that album's cover - of him as a boy - to me, he looked just like the kid on the early 1960's Andy Griffin TV Show named "Opie" (played by a young Ron Howard, long before he became a famous director). 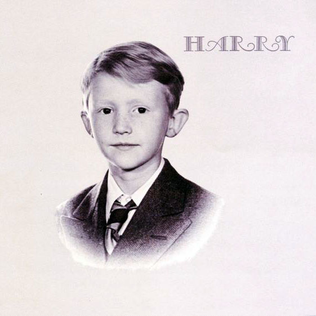 Or maybe that really is Opie on the cover of Harry's LP?